Lana Ravandi-Fadai: "Perceptions of Iran in many of the Gulf states seem to verge on paranoia at times." Iran remains under intense pressure from the United States, supported by Israel and Saudi Arabia. The Trump administration would clearly like to force Iran back into international isolation. Regional powers are also pushing back against what they see as growing Iranian influence among its neighbors. How is Iran negotiating these trends? What countermeasures can it employ? There is nothing new under the sun here. From the first days of the Islamic Revolution, the country began its adjustment to the difficult conditions of international isolation – something it’s only recently been able to start coming out of. But hardly all countries see Iran as part of an “axis of evil” – the European Union’s stance is different from that of the US and its axis of Middle East allies. 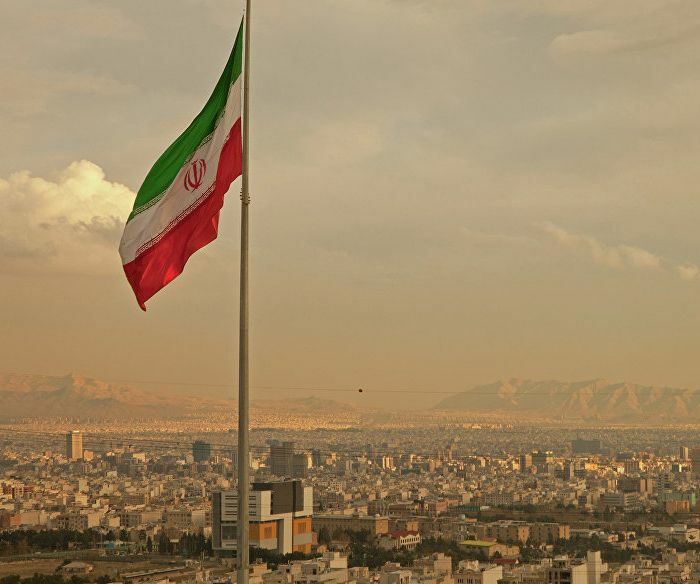 The best Iranian countermeasures to the new US diplomatic and economic offensive are simply to continue to abide by the terms of the Joint Comprehensive Plan of Action (JCPOA). Iranian Foreign Minister Zarif uses the word “restraint” quite often in interviews, and one gets a definite sense that the Iranian establishment is wary of being provoked into rash action. In any case, as of now Trump has only passed the buck on the JCPOA to congress by requesting them to review the agreement. They may well stick to it – surely there is an awareness in Washington, despite the rhetoric, of the damage a unilateral US withdrawal would inflict on its own reputation and international security. If congress balks, Trump can still say he fought it, but lawmakers wouldn’t go along. But there are and will continue to be new attempts to ratchet up the pressure on Iran, and new provocations. In this kind of game, Iran will continue its displays of “insubordination” to the will of the hegemon while taking care not to go too far. Of course, if the US continues to use its influence and economic might to block the economic integration promised by the JCPOA – perhaps the deal’s primary incentive from an Iranian perspective – there is a danger that the Iranians will decide it’s not worth it. The tactic of signing an agreement but then stalling its implementation is also not new. It’s worth noting that the Iranian side was complaining about this during Obama’s tenure; it’s not something that cropped up with Trump. How do you view the continuing hysteria surrounding Iran? Is “hysteria” an overstatement? What can be done to stop the escalation of the Sunni-Shia clashes? You mean hysteria in the West? I don’t think we are hysterical about Iran here in Russia. I don’t know what can be done about Western hysteria. It’s a very old tradition. Somehow they’ve gone from the “Omar Hayyam Society” in Victorian England to the “Axis of Evil.” Although I think anti-Russian hysteria in some countries may soon outdo anti-Iranian hysteria – that might be a kind of solution to the problem: just replace it with somebody else. What are Iran's national interests internationally? What are its foreign policy goals – both stated and unstated? In other words, where does it want to go? Where does it see itself in the medium term? All players in the region (and some outside of it) are striving for influence, and Iran is no exception. But we should not underestimate the degree to which the perception of threat drives Iranian actions. Its goals are to ensure stability on its boarders, to avoid open conflict with the West, at the same time preserving and strengthening its defense capability. The more the perceived danger nearby, the more instability, the more urgent Iran’s need to have a strong influence outside of its borders – in Iraq and Syria, for instance. But Iran also wants a better dialogue with the West – something that started to happen, but is now uncertain. Iran has become good at maintaining its “resistance economy” – some of my friends in Tehran laughed when I told them several years ago about sanctions imposed on Russia: “Oh, try dealing with it for thirty some years!” they said. But Iran wants and needs to build a better economy, and increasing ties with the West is part of this. Still, the Iranians will be loathe to engage in a dialogue that they feel is one-sided. From their perspective, there have been too many years – decades – of this. You asked about foreign policy, but many domestic issues are closely connected with foreign policy, so I should talk at least a little about that as well. The economic and social burden of massive numbers of refugees from neighboring failed states – or states forced into failure – is one example that comes to mind. There is also the ethnic policy inside of Iran. Many of the tensions of minority groups in Iran – Kurds, Arabs, Azeris, Turkmen and others – depend on the situation with those same groups just across the border in Turkey, Syria, Iraq, Turkmenistan and Azerbaijan – all bordering on Iran with ethnic populations spilling into Iran. In recent years, the central government in Tehran has taken steps to improve the living conditions of minorities in the country and to address their complaints, but the success of these measures is also dependent on outside factors. It is reported that Iran was heavily involved in defusing the recent incident between Arab Iraqis and Kurds around Kirkuk. If you remember, they were on the verge of an armed conflict. Some will say: again Iran is meddling. But how could Iran not be considered a stakeholder? There are seven to eight million Kurds living in Iran. It would seem that Iran really does view Russia as an ally. The two countries have achieved significant successes in Syria. How permanent is this alliance? How is it backed up by contracts, treaties, etc.? It’s difficult to imagine Assad and his government still existing without Russia and Iran. Whether or not that is a success depends on your perspective. Preventing a radical Islamic takeover of Syria is certainly a success. Liberating Palmyra is certainly a success – there was no participation in the battle from the Combined Joint Task Force of half a dozen Western countries, unfortunately. From a logistics point of view alone, cooperation in Syria is not simple. There are diplomatic and cultural nuances too: Russian missile launches from Iranian territory raised questions in the Iran Majles (parliament) – the Iranian constitution categorically prohibits foreign military bases on Iranian territory – this is the specter of Iran’s colonialized history, in which Russia – alongside Britain and America – played a not always positive role. It will take more work to develop a true alliance – and the long, complicated history between Russian and Iran is an important factor. There were multiple wars, the Turkmanchai Treaty of the early nineteenth century, giving much of northern Iran to the Russian Empire. At the moment, the two countries have common interests, not only in Syria, but security issues in the Caucasus and Central Asia. For a long time now, Russia and Iran have been trying to boost trade, but economic ties are still not anywhere near their potential. Yes, some contracts have been signed, but not nearly as many as have been proposed. There are issues of trust, perhaps, but also pressure from outside. The fact is that while we may both disagree with much of the United States’ foreign policy, the US holds the keys to the global economy, and access to US markets and financial systems is paramount. And most of the youth of Iran is enchanted with the West and particularly the United States – the pop culture. Although I should say that Russian high culture enjoys an excellent reputation in Iran – the writers, musicians and filmmakers. Iranian culture is also making more and more inroads into Russia. Even in Moscow, we now have an Iranian film festival, there are evenings of Iranian music and poetry. The Iranian Cultural Center here does an excellent job. It makes little sense to me that we do not have stronger ties, and I hope the future will bring them. 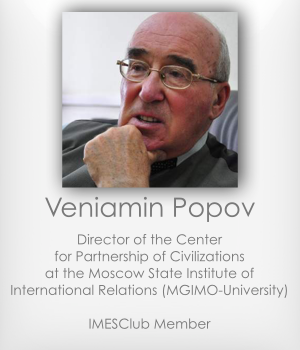 IMESClub's Council Chairman, one of the greatest world experts on the Middle East was named this week as a mediator in the Syrian peace talks and advisor to Staffan de Mistura. We share the article by Reuters on the matter. A Russian academic named this week as a mediator in the Syrian peace talks is an acclaimed expert on the Arab world with the trust of the Kremlin, a sign of the influence Moscow has won at the negotiating table after a five-month military campaign. 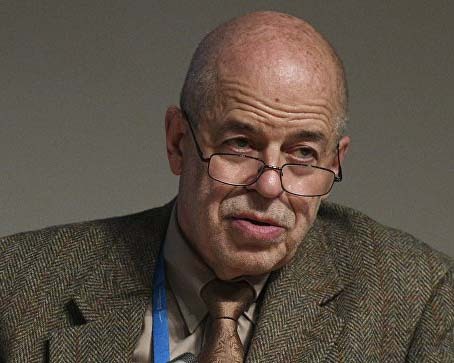 Staffan de Mistura, the United Nations envoy on Syria, said he had appointed Russia's Vitaly Naumkin, 70, as a new consultant to support him in brokering peace talks in Geneva between the sides in Syria's civil war. De Mistura said he also wants to appoint an American, who has yet to be named. The posts reflect the roles of the Cold War-era superpowers as co-sponsors of peace talks that began this week in Geneva, with Moscow a leading supporter of President Bashar al-Assad and Washington friendly with many of his enemies. Naumkin's position is likely to ensure that Moscow retains its clout at peace talks, even as President Vladimir Putin has announced he is pulling out most of his forces after an intervention that tipped the balance of power Assad's way. 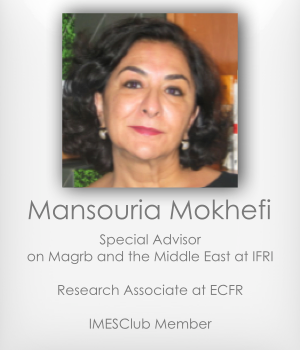 Reuters spoke to nine people who know Naumkin, and all described a talented and well-connected scholar who speaks fluent Arabic and has rich experience mediating in conflicts. He has close working relationships with Russia's leaders, and describes himself as a protege of Yevgeny Primakov, a former Russian spy chief, foreign minister and prime minister who once served as an architect of Soviet policy in the Middle East and later as an informal mentor to President Vladimir Putin. Naumkin did not reply to a Reuters request for an interview, but acquaintances said his views were likely to reflect Russia's policies. "He has a political line, it's our good political line," said Alexei Malashenko, a long-standing Naumkin acquaintance and scholar in residence at the Moscow Carnegie Center think tank. Another person who knows Naumkin, who gave an assessment of his role on condition of anonymity, described him as a talented academic who would defer to senior Russian officials on policy. Several of the people who spoke to Reuters said Naumkin was in regular contact with Mikhail Bogdanov, Russia's deputy foreign minister and presidential Middle East envoy. De Mistura nevertheless said Naumkin's job would be to help the U.N. mediation team, not serve Russian interests: "He reports to me, not to his own mother country." Born in the Ural Mountains, Naumkin studied Arabic language and history at Moscow State University, before serving for two years in the Soviet army teaching Arabic to military interpreters. He gained a reputation as an outstanding simultaneous interpreter and was called on to translate at high-level meetings between Soviet officials and Arab leaders. It was in this role that he built up a rapport with Primakov, whom he met in Cairo in the 1960s. Primakov later invited him to work as an academic at the Institute of Oriental Studies in Moscow, according to Naumkin's own account. Naumkin did pioneering research into Socotra, an island between Yemen and Somalia, and spent periods living in Yemen and Egypt. "He knows the Middle East not by hearsay, not from inside an office, but he's lived within it," said Alexander Knyazev, a Kazakhstan-based analyst who has known Naumkin for years. In the early 1990s, Naumkin facilitated back-channel negotiations between rival sides in a civil war in the mainly Muslim ex-Soviet state of Tajikistan. Naumkin arrived in the Tajik capital at the height of the fighting together with Harold Saunders, a former U.S. Assistant Secretary of State. Unsolicited, they offered their services as mediators to the Tajik leader. When he accepted, they went to the Tajik foreign minister's house and slaughtered a sheep to celebrate, according to Kamoludin Abdullaev, a Tajik researcher who was present. Naumkin's role in the talks was to make sure the opposition's views were heard. "He was very assertive. The ... negotiations ended successfully," said Mars Sariyev, a former Kyrgyz diplomat who took part on the talks. Naumkin has already played a back-room role in Syria negotiations, coordinating two rounds of talks in Moscow, backed by the Russian foreign ministry, to try to unite some of Syria's disparate opposition. 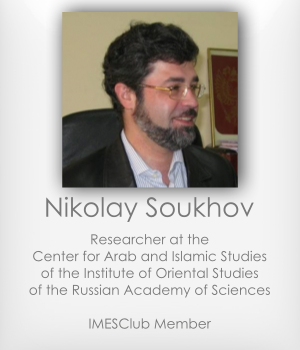 Those talks produced no major breakthrough, though not through any fault of Naumkin's, according to Nikolai Sukhov, an Arabist scholar and former student of Naumkin. People who know Naumkin said he would be unflagging in his efforts to broker a solution in Geneva, would be on good terms with both sides and would not let emotion or frustration get in the way, even if the talks falter. Western diplomats say it may be useful to have Naumkin in the room at the talks. One said it would encourage the Syrian government delegation to stay at the table despite its reluctance to sit down with its opponents. Although Riyadh and Ankara are independent players whose interests are not always aligned with those of Washington, they will most likely support the deal promoted by the United States and Russia. Earlier this week, Russia and the United States agreed on a new ceasefire for Syria that would take effect Saturday. Valdai Club expert Irina Zvyagelskaya believes the deal can seriously change the situation on the ground. “This agreement is the only option for Syria that can de-escalate the conflict or at least lay the groundwork for de-escalation,” Zvyagelskaya, senior fellow at the Russian Academy of Sciences’ Institute of Oriental Studies, told Valdaiclub.comin a telephone interview Wednesday. “The deal has demonstrated once again that Russia and the US have common political interests. Both Russia and the United States recognize that the Syrian conflict has no military solution and a political mechanism must be launched,” she pointed out. “It is important that Moscow and Washington, as they are trying to broker a peace deal, can rely on a broad group of countries, which share their goals,” she said referring to the International Syria Support Group (ISSG). 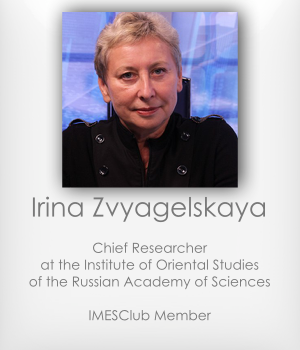 Zvyagelskaya singled out several problems she believes will arise during the deal implementation. “First of all, it will be hard to establish who observes the deal and who does not,” she said. “It means that those parties to the conflict which are ready to cease fire must explicitly claim that,” the scholar pointed out. Russia has played a significant role by persuading the Syrian government to start negotiating with those opposition forces, which are ready for peace, Zvyagelskaya said. “Now it is crucial that the United States uses its clout to mitigate the positions of the forces it supports,” she added. Asked if other countries of the region, which are known to support opposition forces in Syria, could prevent implementation of the deal, the scholar said she did not expect Turkey or Saudi Arabia to disrupt the agreement. “Although Riyadh and Ankara are independent players whose interests are not always aligned with those of Washington, they will most likely support the deal promoted by the United States and Russia,” Zvyagelskaya said. Many experts believe a new government can sanction and coordinate a new western military operation in Libya aimed at destroying ISIS. Mustapha Tlili, Founder and Director of the New York University Center for Dialogues: Islamic World-U.S.-The West, told Valdailclub.com what dangers such an operation could pose. This week, Libya's internationally backed presidency council proposed a new unity cabinet aimed at ending severe divisions in the country engulfed in a civil war since 2014 and targeted by the ISIS terrorist group. Many experts believe a new government can sanction and coordinate a new western military operation in Libya aimed at destroying ISIS. Mustapha Tlili, Founder and Director of the New York University Center for Dialogues: Islamic World-U.S.-The West, told Valdailclub.com what dangers such an operation could pose. “Right now, we have a very dangerous situation, as ISIS is gradually shifting its power and bases from Syria and Iraq,” Tlili said in a telephone interview. “There should be an intervention to put an end to this cancer, which is ISIS, but it cannot be done without taking into account the aftermath,” the scholar pointed out. First of all, any decision on a military operation must be authorized by the United Nations. “If it does not have the legitimacy of the Security Council, this would open the door to all the dire consequences that we have seen in interventions of this kind, particularly when the Bush administration decided to go without the approval of the Security Council to get rid of Saddam Hussein and when the West began to pursue its policy with regard to Syria and Bashar Assad,” Tlili said. Also, any decision on a military operation must take into account the particular problems of the neighbouring countries, he added. “Tunisia, for instance, is the most exposed of Libya’s neighbours with regard to ISIS, because the border is not secured. So it is not clear if it can stop completely the infiltration of jihadists from Libya to Tunisia. Second, there are almost two million Libyan refugees in Tunisia. If NATO attacks Libya, more refugees will flee to Tunisia. We know now that the flow of refugees can be an occasion for jihadists coming under the guise of refugees to strike,” the scholar elaborated. 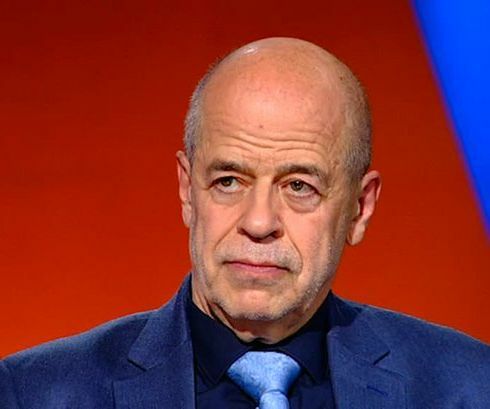 “In a few words, it is necessary to get rid of ISIS in Libya, because it is a very big potential danger to everyone: not only to the neighbouring countries, the West and even to Russia,” Tlili said. “But we now know that you can start something which seems to be logical, that is attacking some source of evil, but then you end up with more evil than what you started with. This is exactly what happened when NATO bombed Libya to get rid of Gaddafi,” the expert concluded. Syria and Russia's involvement. Nikolay Soukhov's take. Vice-President of IMESClub has shared his analysis on the Syrian crisis and the Russia's involvement in a fight with ISIS. Discussion was held in arabic by Al Jazeera TV. 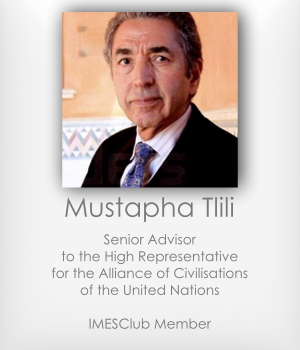 Mustapha Tlili, novelist, Director of the UN information Center for 30 years and columnist for the New York Times carries an optimistic and confident outlook on Tunisia and its ability “to meet the challenges of democracy and modernity”. However, he is more cautious about the development of the situation in other countries of the region (Syria and Lybia). “We opened the Pandora's box”, says Mustapha Tlili. Маria Dubovikova: The shelling of Gaza in 2014 has killed over 2000 people, many civilians. After that a new wave of Palestine recognition was launched by European countries. How much did it influence on the perception of the conflict abroad, in the West? Did it hammer one more nail in Arab-Israeli conflict regulation? Tatiana Karasova : We can answer this question in a simple way, and that will be an inaccurate answer and distortion. And we can give a much more complex answer to explain what is going on. If to answer lapidary, yes, it has hammed one more nail in a coffin, there is a change in relations, after that shelling European countries pronounce for the recognition of the Palestinian State. Yes. And yes. And once again yes. And now let’s investigate the situation. Such escalations take place every two years. This happens not by chance! These 2000 people are dead, even if there were only 200 victims – to count by the piece is immoral. One child dead – this is enough. The victims are inevitable in every escalation of the conflict but still the both sides are ready to a confrontation. Such a question is delicate and improper. On the one hand this cyclicity is caused by the fact that one of the side arms itself, and at some point this party decides to go to the provocation, that inevitably will result in civilian casualties. This side deliberately goes for it. They perfectly know how their provocation will end up, knowing the Israeli’s law «Symmetrical retaliation». Under symmetrical retaliation Israel understands surgical strikes on the provocateurs and fire suppression of the launching points. The tunnels with people inside and the HAMAS leaders who fare clearly known to be the ideological inspirers are under the strikes. Knowing the consequences, these representatives of Hamas go to apartment houses on purpose. What does Israel do? It drops leaflets on these houses, on the whole residential area, warning the civilians about the timing of the strikes against the certain persons and artillery systems, asking the civilians to leave the area. What happens next? Civilians don’t leave the area, as those who are in the basement don’t let them leave. Then comes a surgical strike aimed at the basement, but the whole building is pulled down. And someone passes by this house, children are playing. And the neighboring house is also destroyed as these building crashes. It happens every time. There is nobody who is completely culpable or right. This is a mean warfare provoked by the both parties. M.D. : The motivation for Hamas is quite obvious. They gain additional support through the broad-scale media campaign and by the price of lives of Palestinians killed during Israeli bombardments and they also receive a required reaction of the international community. This reaction was not expressed only on the international arena but within the countries as well. For example, there were marches to express support for Palestine in France that once again have finished by the acts of vandalism. T.K. : Absolutely true. But not only that. M.D. : But what is the motive for Israel? T.K. : Their motive is very simple. As soon as the Israeli territory is under fire, the enemy must be absolutely sure that the retaliation will be imminent, as it is an attack against a sovereign state. M.D. : And what about the settlements construction? Israel is indeed escalating situation in this case? And the same question concerning the destruction of the Palestinians houses. T.K. : No. It is a very tricky question. One should tell the propaganda from the truth. There is so much confusion and lies that everybody forget, that no settlements were built in more than 15 years. M.D. : But the intentions are voiced! T.K. Wait, there are no new settlements. Moreover, if a crazy settler attempts to build a strong point it is immediately destroyed by the IDF itself. In reality the situation is the following – a settlement built in 1952 inhabited that time by 100 persons is now inhabited by 2500. That is why apartment houses are built on the place of 60 years old dens. That is why their number has increased 5-6 times. They must have somewhere to live. It is not an expansion of settlements. And the discussion of the freezing or moratorium of the settlements is about building within the current borders of the settlements, about increasing the residential potential. M.D. : This means that the words of Netanyahu are deliberately distorted and are presented in the altered sense? T.K. : Yes. Why? Just because it is like a red rag for the community and all the more for the Palestinians. We are strengthening and expanding these settlements, thus we are not going to abandon them. Thus the new families will give birth to more babies. Thus new houses should be built. T.K. : It is very selective, as we know. M.D. : Netanyahu’s reaction on the decision of the Court to hear the case of strikes on Gaza was straightforward. He accused the Court of betraying its own principles. M.D. : That means that the situation is in a complete stalemate. We are unable to return to the solutions proposed in Oslo and even in the Arab Peace Initiative. T.K. : The paradox of the situation is that it is really impossible now and in the nearest future. Just for example because of political situation in the Middle East. Every time Israel destroys the HAMAS infrastructure and kills its leadership, the new, more radical leaders come, Saudi Arabia and others offer some money, and in two years we can expect new provocations and escalation. Israel has inflicted major damage to the infrastructure now. On the one hand they were hiding their own mistakes – dozens of tunnels with wagon circulation were dug in Mossad’s own backyard, and nobody knew about it! But I believe that they do not have this two-year timeout this time, because Saudi Arabia had conflict with Qatar and in revenge it has stopped supporting HAMAS. HAMAS does not have much money now. And how to raise money? – Exclusively by a provocation. The civilians will die again as they are always a shield for HAMAS. The money will flow again. M.D. : Speaking about Jihadism that spreads all over the region – now there are more and more radical groups all over the Middle East swearing allegiance to ISIS. What is the probability that the Palestinians, radical wings of the movements, mainly of HAMAS, will also side with ISIS upgrading the conflict to a critical level? T.K. : It is the worst-case scenario. And I do not believe in it. They are anybody but no fools. If the ISIS arrives there, HAMAS will be out of business, the situation will be completely different there. Ramallah needs changes, Abbas does not have any official authority and thinks only about keeping his office, and he will no longer be needed after the recognition of the Palestinian state. It will be nice to replace him by, let’s say, Fayad as he was responsible for Ramalla’s develohment, and he is aware of what Israel is doing. Palestine needs moderate authorities, those who have already achieved something and want to live better. Israel is ready to help, they just need to deradicalize. And such breakthrough may allow some changes, stabilization. Choosing better life over bad death opens way for the dialogue. M.D. : The upcoming elections in Israel may deteriorate the situation – the balance shifts towards a more rigid nationalism in Israel. T.K. : Yes… So not everything is clear here for now also. Let’s wait. 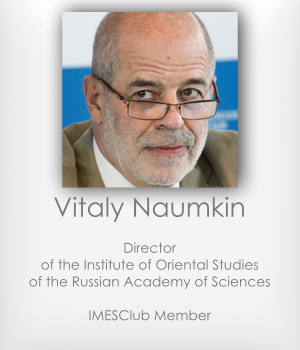 IMESClub presents the extract of Vitaly Naumkin's interview to MK. The informal meeting of Syrian authorities and opposition members decided to be held upon the Russian Ministry of Foreign Affairs initiative in Moscow on January 26-29th might be more representative and free than previous events of this kind. 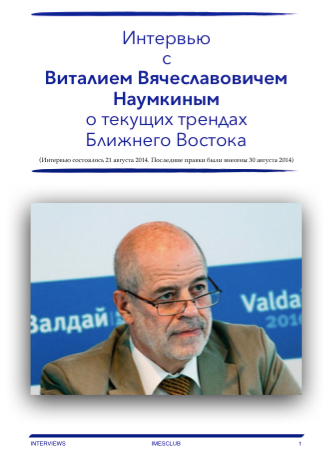 This was told by the meeting moderator Director of the Institute of Oriental Studies, Russian Academy of Sciences, Vitaly Naumkin in his exclusive interview to MK. According to Dr. Naumkin invitations to Syrian opposition members were sent "on individual basis" in order the negotiating parties to present only themselves rather than some sort of organizations. What will the inter-Syrian meeting that is being prepared in Moscow be? Are there any details? It has character of preliminary consultation meeting or communications between different groups of the Syrian political opposition and civil society with representatives of the Syrian Arab Republic government at "Moscow ground" offered by the MFA of Russia. I am honored to be assigned by the MFA as a moderator of this meeting. It will last for four days during January 26-29th and will consist of two parts. The first part to be held on January 26-27th is a meeting of the Syrian political opposition and civil society representatives without participation on behalf of the Syrian government. On January 28-29th the government delegation of the Syrian Arab Republic, ie the government in place, will join the meeting. In Moscow free dialogue will take place with open agenda to discuss all issues related to plausible reconciliation in Syria. Such inclusive dialogue is impossible without preliminary conditions. Moreover as one can see from the meeting format the MFA of Russia offers only place for negotiations, namely the Syrians will discuss all issues dealing with counterterrorism and political settlement on their own. I am informed (provided that I don't represent any state institution or civil society and act in modest role of all sessions' moderator) that Moscow dialogue is not an alternative to Geneva process or two Geneva conferences the second of which ended in nothing. There was the Geneva Communiqué as of June 20, 2012, adopted by the Security Council Resolution 2118. Russia is committed to principles of this Communiqué and the meeting will be held on the basis of this commitment but with no external interference as noninterference in inter-Syrian affairs is, in my opinion, one more principle that Russian diplomacy is guided by. I personally find this approach very attractive and affirmative. Additionally, as far as I know, this meeting is not only not an alternative to "Geneva" on the contrary it may serve a place for some kind of jump to "Geneva" aimed at turning back to the Geneva format if the Syrians succeed in reaching agreement on anything. Today it is absolutely obvious that there's a need to negotiate, a bloodshed must be stopped as it is clear that there are Syrian patriots in both parties to the conflict (or even in several parties to the conflict in a manner of speaking): on behalf of both the opposition and government forces, those loyal to the government. There are patriots among the opposition members and I hope that people who have agreed to arrive in Moscow will actually negotiate from stance of the Syrian patriots interested in keeping their country's integrity and stopping of fratricidal bloodshed. Invitations to participate in the meeting were sent by the Ministry of Foreign Affairs to opposition members on individual basis. That is to say people who arrive to attend the meeting won't represent any kind of organizations. I hesitate to predict, but I think if they demonstrate will to express any consolidated opinion on behalf of their organizations, they will have opportunity to do so. However they were invited on individual basis in order to avoid any kind of competitive atmosphere and exclusiveness, i.e. that some organization is more or less important. I guess those who don't attend the meeting, maybe there are such people that don't accept the invitation, are isolating themselves and look in not very good way as this means exactly an open dialogue. Nobody imposes nothing and sets no preliminary conditions, and it seems to me there are a least two components of such dialogue. One the one hand, it is countering horrible terrorism and extremism, in particular ISIS and some other organizations threatening both the regime and moderate opposition. On the other hand, it is an absolutely obvious need for renewal, reforms, some kind of other movements aimed at conciliating positions of parties and making political settlement, that has no alternative, possible. Any dialogue is a two-way street. However everything should be settled by the Syrians and nobody would impose anything here. This will probably be the core of such meeting and my modest task is to conduct sessions and give everyone opportunity to express opinion. Regarding the substantive part of the meeting is there any particular agenda? No, there isn't. The dialogue has open agenda, the meeting organizers set no questions. The Syrians will decide what to discuss on their own. This is a national agenda defined by the meeting participants. 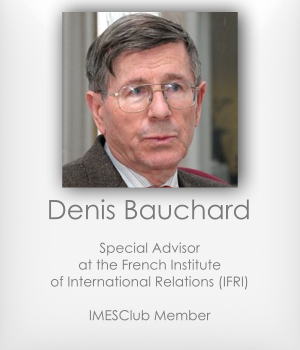 Stay connected - IMESClub will provide the monitoring of the inter-Syrian meeting and exclusive materials. Interview is available in Russian (click here). 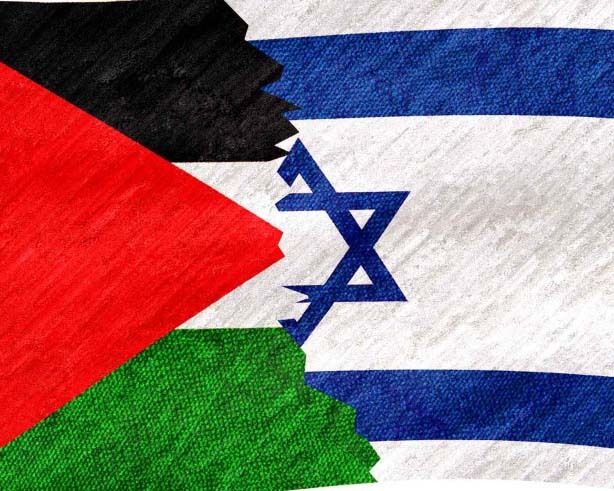 Maria Dubovikova: The first question I would like to ask, following the recent changes on the battlefield of the everlasting conflic – what are the prospects of the Arab-Israeli conflict now? Are there still chances for a peace settlement in the short or maybe mid-term perspective? And why? Vitaly Naumkin: I think there are no chances for a peace settlement in the short terms. It is a difficult confrontation, which will occasionally inflame and deescalate. Explosions will follow the pauses, and it may last long enough, maybe for several years. I do not see any chances for a resolution even in mid-term perspective. Why? First of all because there is no intention from the Israeli part to stop the occupation. It goes on. And the settlement is impossible without the end of occupation. Some dialog is possible – the parties will be forced to have it. Some experts believe that the reconcilement can be achieved only through an imposed decision. I do not much agree with such scenario. First of all, because there is no accord within the international community, among the global players. Let’s take,the US–Russia relations as an example. Is it possible to speak about agreement if the Americans still impose pressure on all the Middle-Eastern countries to make them stop the cooperation and the development of ties with Russia, trying to talk them into joining the sanction war, that is waged against Russia by the US, EU, and some other countries – Australia, Canada, etc.? Secondly, a decision may be imposed only on the parties, that are dependent much on the external players and obliged to listen to them. And even in such case it is not always possible. Israel has shown that it is not eager to listen even its closest partners, as it is sure that they will not abandon the strategic union with it and will continue to support it. And if Israel is criticized everywhere, even in the US, and this criticism is growing due to the atrocities against civilian population in Gaza, this will not make the US threaten Israel with any sanctions. There is nothing to talk about without sanctions. In this sense Israel is a quite sustainable state. Thirdly, the positions of the two parties are so irreconcilable, that it is unlikely that something can be imposed on them now. And if we examine the consequences of the events in Gaza from the Arab angle, we will see that HAMAS positions are not undermined, but they have strengthened instead, despite they receive support in the region only from Qatar and Turkey. The sympathies towards HAMAS are very high among the population of the West Bank, which is however controlled by Fatah. Our Palestinian friends give such an assessment. HAMAS believes that it was victorious in this battle. Israel had to agree to cooperate with the coalition government. It is a technical, not a party one but is created on the basis of agreement between HAMAS and Fatah. At the beginning Israel refused to conduct dialogue with HAMAS, but agreed afterwards. Mutual concessions made a fragile ceasefire agreement possible. But HAMAS has not managed to make Israel satisfy the demands presented in the beginning of the conflict – to lift the blockade and free Palestinian convicts. Israel, in its turn has suffered an important reputation loss. There was no choice as annihilating more than two thousand people including 400 children and trying to continue to present it as a counterterrorism is impossible. They wave no opportunities to calm the anger of the Palestinians. Some hot-heads in Israel say that they need to reoccupy Gaza, deploy troops there. It is a new occupation and it will lead to the further radicalization. It will cause violence, guerilla and subversive warfare and this will not have an end. There will be no security and that is why Israel has to retreat and free the territories. Israel says it has to provide its own security. Of course it has, but only through a settlement including the interests of all the parties. Many of the projects of reconciliation proposed today include an idea of demilitarization of Gaza and establishment of Mahmud Abbas’s administration control there. Mahmud Abbas can not follow such decision as the Palestinians are using the concept of common sovereignty over the whole Palestine, which includes the West Bank, Gaza and Eastern Jerusalem – all three inseparable parts of Arab Palestine. Why the Palestinian authorities have to agree to demilitarize one part, not knowing what to do with the others? Demilitarization is only possible for the whole state, which should be created on these three territories according to the resolutions of the Security Council of UN. But Israel refuses to recognize East Jerusalem as a capital of Palestinian state as it considers it as an eternal and indivisible capital of the Jewish state. The Palestinian leaders also can not agree to demilitarize Gaza as they will be just smashed by their own population. The reputation of Abbas is already shaky and if he makes further unilateral concession, he will be just branded as a traitor and he will have difficult times. Moreover, there is no accord among the Palestinians. However, meanwhile Mahmud Abbas and Khaled Mashal manage to interact productively. It is difficult to say whether this cooperation will be long term or not. All the more so, there are parties of realists and radicals within HAMAS. I have often heard from the Palestinian public figures, that they could agree to the demilitarization in conditions of the international guarantees for the security and deployment of the international forces. I will repeat, that such state should include all three parts of Arab Palestine – West Bank, Gaza and East Jerusalem. May be, it is possible to fantasize over the granting this city a special status, giving the access to it to the representatives of all the Abrahamic confessions. It is possible to agree on that. There are some other variants of compromise solutions but Palestinians can give up Jerusalem on no conditions, let alone they have support of international community and the international law. And the Arab and the whole Islamic world will not support such “renegade”. This is out of question. A compromise should be found. M.D. : You have mentioned the US pressure on the Arab countries to make them join sanctions against Russia. And it seems that mostly all their attempts are in vain. Is the Arab world interested in cooperation with Russia? Or the West is still more attractive partner for it? V.N. : Unfortunately, there is no unity in the Arab world, it is atomized. There are pro-Western elites in the Arab countries, which at best do not care what policy towards Russia will their governments conduct. These elites will act only according to the US and their own interests. There are other elites, which are at least interested in diversification of their states external policy, and Russia is much needed here in all the spheres: political, economic, and military, just as a counterbalance for the Americans. This is the most humble estimation. Analyzing further, we will find some core elements in cooperation with Russia, which cannot be provided by anyone else today. Let’s take for example Egypt. Who can really provide weapons today if these weapons are not supplied by the US? Russia. But in this respect Egypt does not abandon the cooperation with the US and is not going to do so. There are some differences between Cairo and Washington and As-Sisi is willing to develop relations with Moscow. By the way, Egypt always had such tendency to work with both parties, even during the Cold war era, Nasser’s Egypt was considered a “client” of the USSR. President As-Sisi acts very reasonably; it is just common for Egypt. It is a big country with important geopolitical interests, international weight. Saudi Arabia also tries to act independently. And it is also inclined to develop relations with Russia on many directions. But there are states that are attached to the US and depend in them in their own security. The Western countries limit theirmilitary cooperation and they are unable to quit this orbit. This also concerns some countries that had some contracts with Russia in this sphere and that are interested in development of the cooperation, say, the UAE. They cannot work on this direction without the US approval and they do not need this. Maybe such need will emerge due to the grave deterioration of the situation in the Iranian, Syrian and Iraqi directions. Hardly anyone will dare to predict now how the situation in Iraq and over it will develop. What will be the further actions of ISIS? How will the de-facto third air war, launched by the Americans in the North of Iraq, finish? Will they bring it on the Syrian airspace and what could be the consequences in such case? Alas, there are more questions than the answers. But these questions will also determine how the Arab countries will cooperate with Russia. No doubt, that nobody, including the US, will be able to isolate Russia in the Middle East. And even their closest ally – Israel is going to launch a broad cooperation with Russia. This country understands our open, fair and reasonable enough position during the last crisis, when we criticized the actions of Israel in Gaza, but showed the willingness to cooperate with them and highly appreciated the fact, that Israel had not supported the anti-Russian sanctions. Israel did not take part in the voting on the anti-Russian resolution in the UN General Assembly in March concerning the inclusion on Crimea and Sevastopol into Russia. And Netanyahu does not conceal that during the last crisis he contacted President Putin on the phone several times (Israeli establishment does not like to have secrets) – this does show something. M.D. : As for ISIS – it’s quiet evident that the crisis is extremely dangerous for the Middle East and for the whole international community as well. How do you think, do the Western powers, the Middle Eastern ones have a chance to stop the spreading of ISIS and to annihilate it? And wil the ongoing American operation on the North of Iraq be effective, or will they finally have to deploy their troops on Iraqi land once again? V.N. : I would say it is impossible to defeat a movement that has deep mass and religious roots by bombardments. How is it possible to precisely identify the targets and then eliminate exactly those radicals by airstrikes? The Americans do have smart bombs, but they are not so smart to return back if the target is invalid. “It seems, that is not those guys!” That means there will be civilian casualties, as always, which cause a rise of anti-Americanism everywhere. The ISIS member may be untouched, but the one who fights against him may catch a packet and go to long rest. These are unforeseen consequences of airstrikes. But in the modern warfare the air forces remain the key element in any combat activities. That is why the absence of planes in ISIS is their weak point. It is also important that this theater of operations does not provide much cover. So, generally it is easy to destroy large groups of vehicles and personnel by aviation – there is no cover for them. David Goldman from the “Middle Eastern Forum” even believes that the capabilities of ISIS are “overestimated” and reminds that the insurgents from this organization “operate on the terrain where the aerial reconnaissance may detect any stray cat”. That is why now the ISIS is hunting aircrafts – planes, helicopters, drones, and attempts to capture airfields in Iraq and Syria. They hunt pilots. The absence of aviation is partially compensated by the modern AA systems captured in Syria, if they will not be destroyed by the US air force, mainly by UAVs. The Iraqi armed forces have not had aviation for long time – the West was afraid to give it to them, thus not numerous flying personnel has lost qualification. The dissolution of all the military units of Saddam Hussein’s state contributed to this issue. It was one of the gravest mistakes made by the US trying to make a new state in Iraq. And now the ex-officers of the old army fight on the ISIS side. Russia has just recently provided airplanes to Iraq, but the pilots have still to do some training to operate them efficiently. There are countries having powerful air forces among Iraq’s neighbors. Saudi Arabia has more than 300 F-15, 75 “Typhoons” and more than 80 “Apache” attack helicopters. Jordan is armed with 60 F-16 and 25 “Cobra” attack helicopters. On the one hand if these countries engaged in combat, I am sure, they would demolish this ISIS. And they would not much care about the collateral damage. But on the other hand, such actions could cause hatred not only towards the Americans (who are already hated enough) but also against these regimes, which are already considered pro-Western. Moreover, my colleagues from these countries, including Saudi Arabia, mention that there are great sympathies towards ISIS among the population. And these sympathies are spread not only among the common people, religious activists, social outcasts, but also among the military. That is why in personal discussions they are voicing concerns, that if such war begins, no one knows on which side will fight several dozens of thousands Saudi Arabians, which are supposed to be engaged in combat. And let’s not forget about such crucial mobilization motivators for religious extremism like Israeli occupation, American invasion, unfinished campaign in Afghanistan (and it is unclear what will happen to this country in future), severe civilian war in Syria, which absorbs Jihadists-legionnaires from all over the world to fight the secular regime. 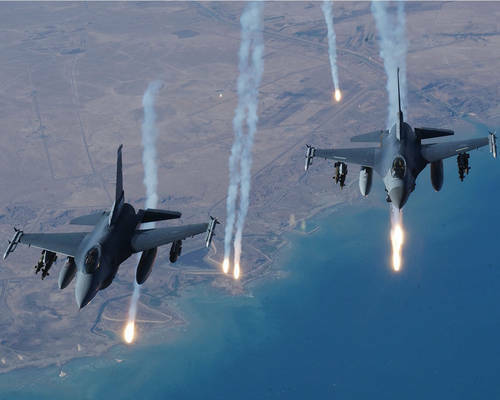 The US examine the possibility to launch strikes on ISIS on the Syrian territory, a part of which is controlled by the extremists, and where they are gaining sufficient military success – regions of Rakka, Deir az-Zora, Aleppo. However Washington rules out any cooperation or coordination of actions with Bashar al-Assad government – a natural ally of those who fight Jihadists from ISIS, connected with Al-Kaeda by a group “an-Nusra” and other groups. If these strikes will hit targets on the Syrian soil without Damask consent, even if these targets are the regions of concentration of the ISIS troops and weaponry, the Syrian government will consider such strikes a violation of its sovereignty. It seems nice, that the ISIS would be bombed out, but who knows what these Americans can do – the highest-ranking officials of the country, including Obama, are repeating “Assad should leave” like a mantra. What if they decide to bomb also (or event instead) the government forces? By the way, I think that Russia will be on Damask side, though we are also very willing to be done with the ISIS. In Syria there is in fact a confrontation between the government forces and thuggish Jihadists. And where is a moderate, according to the Western classification, opposition? Where is the Syrian Free Army? It is impossible to see it. However, a positive tendency of forming coalition of all those fighting against the ISIS is falling apart. Today, as far as I know, even the Kurdish Working Party and the organizations connected to it, which have not collaborated with Arabs yet, are fighting the ISIS in cooperation with some moderate Islamists. ISIS threatens all neighboring countries – mainly Jordan, which has its own Islamist extremists, Lebanon, which has got a subdivision of ISIS with an unknown before Amir al-Urdunni. The head of ISIS Abu Bakr al-Baghdadi threatens to reach Kuwait, which he is going to punish for the cooperation with the US. The situation is extremely dangerous. To sum up, the local regimes should not expect to defeat the ISIS by the US smart bombs and missiles. And nobody wants to fight on the ground – not the Americans, not even these regimes themselves, a part of them even refuses to list ISIS as a terrorist organization. It is better not to risk, who knows, how the situation will turn? Moreover, the defeat of ISIS would cause a reverse reaction as a sympathy and input of forces to cruel Jihadists who speculate in the feelings of Muslims. Meanwhile, the Iraqi army facing severe difficulties does not show its best. And the potential of Kurdish armed units “Peshmerga” was also overestimated. It was on thing to conduct guerilla warfare against Iraqi security forces in their mountains during Saddam Hussein rule. But fighting in open combats with reckless, wildly cruel and heavily armed ISIS fighters – it is absolutely another type of warfare. My Iraqi friends tell me that there are also ISIS allies among the Kurds, however they are not numerous. Kurds are not very religious in general. And the massacres against non-Muslim minorities on the North of Iraq – Ezids, Shabakh, Christians, were aimed to threaten all the population of the region. The capital of Iraqi Kurdistan – Erbil does not manage to deal with the huge mass of refugees. I think that Peshmerga, which are still able to make a barrage against the murderers from the ISIS with the coordination with the Iraqi army and the US Air support, will not go further than their territories. They will not go to fight in the South of Iraq. It is a theater for the Iraqi army and the militia of Shia who live there. A so-called Golden division of Iraq – an elite unit consisting mainly of Shia, and destined mainly to defend Shia shrines in Kerbel, Nejef and some other places, has a good combat reputation. Iran has recently declared that it has sent its advisors to Iraqi Kuristan. Prior to that the Iranian advisors were only in the Iraqi army and in the security forces. Will the Americans and their allies cooperate with Iranians? Will the West be able to overcome the anti-Iranian syndrome having the common interests with Iran to oppose the ISIS and al-Qaeda? It seems, that again, there are more questions than answers. But in general the battle will be long and bloody. V.N. : Also seriously and for long! M.D. : With no any chance? V.N. : What chances? Libya seems to have few people and much oil – make a deal! It is possible to divide power and resources. Maybe someone in the region will not like it, but I will dare to say: the Arab League should think about creating a peacekeeping force (under the support of the UN) to make Libyans stop the internal conflict, not to allow the creation of an “Islamic state” on its territory, how it happened in Iraq. The countries like Egypt, Algeria, concerned about such threat could have played an extremely important role in realization of a such plan. Let’s recall how the Syrian troops have once entered Lebanon and stopped the civil war there. But the crisis should be settled by the Arabs only and not by a new Western intervention.